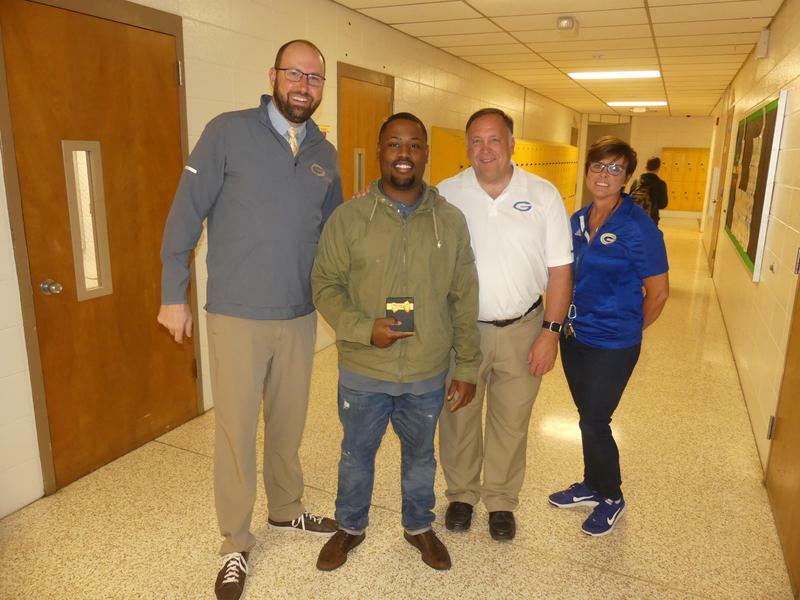 Congratulations to Mr. Malik Floyd for being chosen as the April Staff Member of the Month! 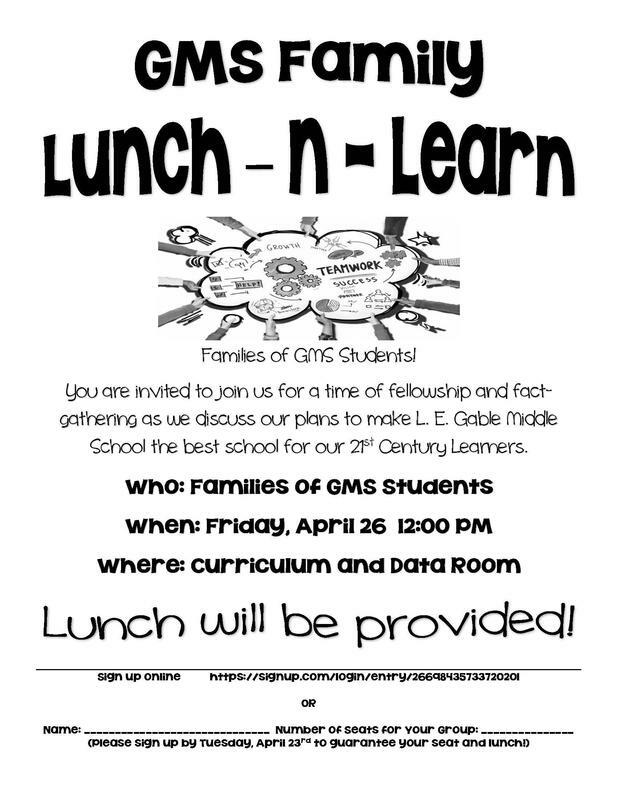 Gable Middle School sports packets for next year are now in the office for pickup. 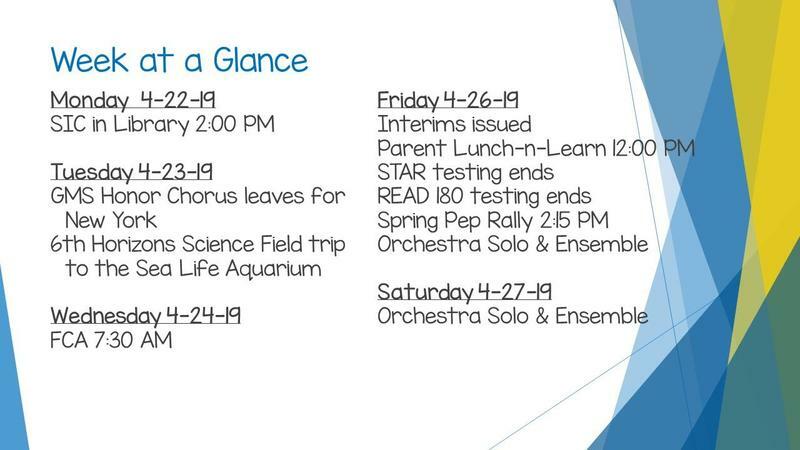 Sports physicals must be completed after April 1, 2019 for next school year. 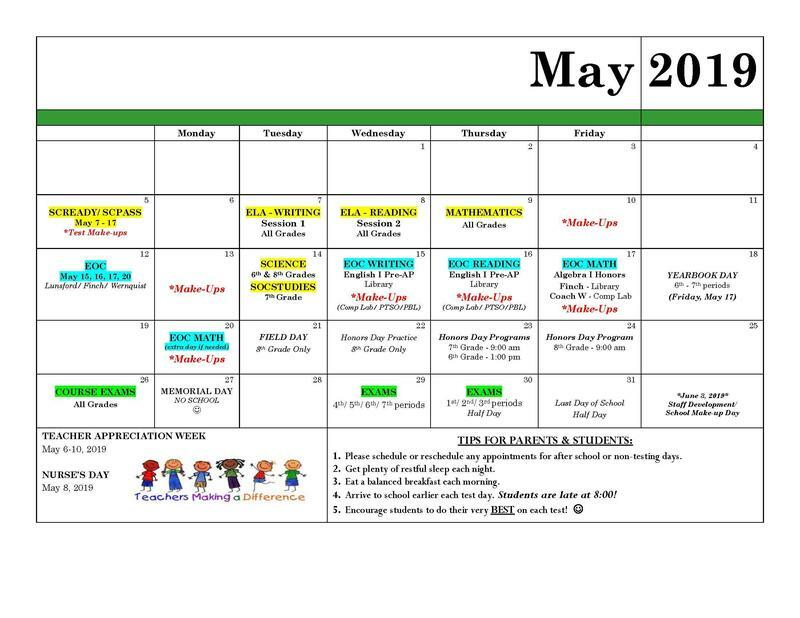 See calendar for SC READY, SC PASS, EOC, and course exam dates, as well as other events during May.